Now a day’s there are many Pendrives available in the market, Some Pen Drives are Original whereas some are fake but it’s very difficult to judge which is original and which one is fake pendrive. 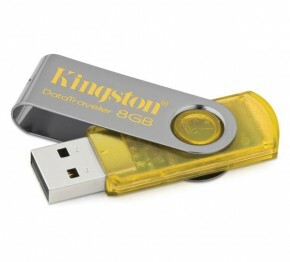 Pen drives are the only Portable device which is Most widely used by Most of the people. Duplicate Pen Drives Looks Similar to Original Pendrive but if any damage is occurring to your pendrive then fake pendrive will not be repaired only Original pendrives can be repaired. If any damage occurs then the company will check if your pendrive is original or fake. If your pendrive is original then they will repair it otherwise they will return you back. There are many duplicate pen drives which are imported from China and sold in India. H2testw is a simple tool, that does not require any installation and offers a very simple user interface. The program is basically used to detect whether your Pendrive is fake or Original, and also it offers you the possibility to choose the amount of data you want to scan. STEP1:- Download H2Testw and Unzip/Extract the files. STEP2:- Run the application file. STEP3:- Before checking pendrive, Formate your Pendrive. STEP4:- Click Target device and select your removable device. STEP5:- Click Write+Verify button and it will scan your Pendrive to check weather a flash drive is original or not. STEP6:- If your Pendrive display “Test finished without errors” then your flash drive is Original otherwise it will Show “Flash drive with Errors” which means your pendrive is fake. NOTE :- 1. Don’t buy Pendrives from Unknown person or from roadside which are mostly fake. 2. Buy Pendrive which are sealed pack and with warrenty. 3. Don’t Buy pendrive from Untrusted Site Like Ebay where Many seller sell thier fake pendrive.